It’s time to branch out! 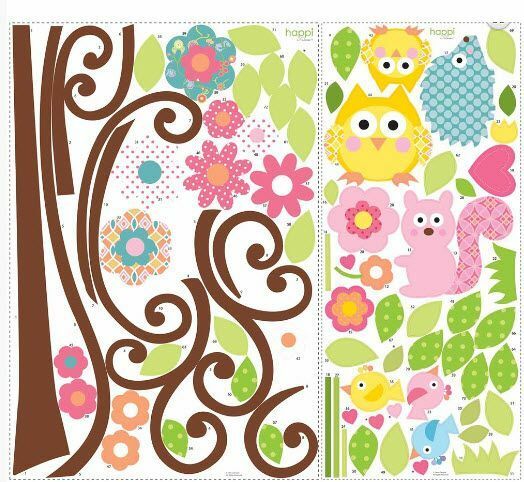 Both sophisticated and fun, you'll love livening up your walls with this fun tree. 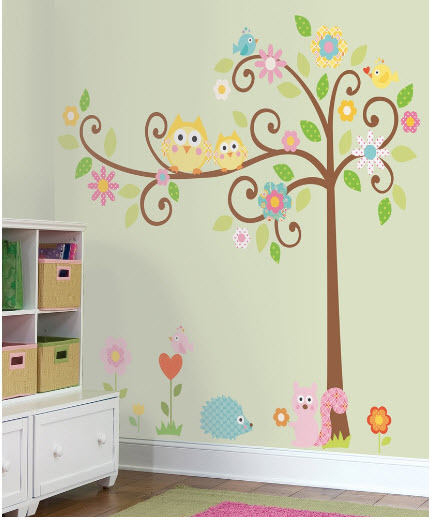 Featuring funky, curly branches, brightly-colored flowers, and some friendly feathered friends, our Scroll Tree Wall Decal MegaPack is the perfect addition to playrooms and bedrooms. Every element is repositionable, meaning it's easy to move the tree around as you like. No need to worry about getting it perfect on the first try—you can even have the kids help out! • 1 sheet of 27" x 40"
• suggested assembly measures 64" x 58"